Precious few hepcatamounts swing like Lewis Franco. The central Vermont guitarist, songwriter and bandleader has almost single-handedly kept the jump and jive alive in the Green Mountains, wailing away with swagger and unimpeachable cool for nearly two decades. Backed by an ace band, the Missing Cats, Franco has recently released a new record, With Uncle Joe, Sonny Joe & Grampa Joe. It plays like the cherry on the sundae — or the extra straw in the malt-shop milkshake — on his equally cool and unimpeachable catalog. In such an established idiom, Franco has no need to reinvent the wheel. If anything, cranky purists would certainly scoff if he tried. As such, the genre's rigid-ish traditions provide both creative freedom — he's unencumbered by delusions of progressive grandeur — and stifling limitation. Admirably, Franco dances a fine line between tribute and innovation, Lindy hopping his way through a selection of classically styled tunes that feel both authentic and fresh. He's a Brian Setzer for the flannel set. On the opener, "Follow the Golden Goose," Franco sings and swings with almost impossible cool. Thesaurus.com is begging me to use a different adjective for "cool," but when one fits so well, it's hard not to overuse it. The easy, winking charm in his delivery is both seductive and familiar. Blessed with a light, tuneful rasp, Franco beguiles the gleaming Shure 55 into which he's surely crooning. Though he's clearly a man out of time, Franco is not necessarily stuck in the past. To wit, "Lost and Alone." It's the album's best song and quite possibly one of the finest locally written ballads in years. Aesthetically, the cut is redolent with the kind of ghostly, AM-radio nostalgia that would make M. Ward and Zooey Deschanel weak in the knees. But it also bears hallmarks of more contemporary styles, especially lyrically, which give the sweetness some urgency. And that, in a nutshell, is what makes the album such a remarkable recording — though venerable players such as Dono Schabner, Will Patton and Caleb Bronz certainly don't hurt. Franco manages to exist in two eras at once, channeling the halcyon glory days of American popular music while updating its sensibility. 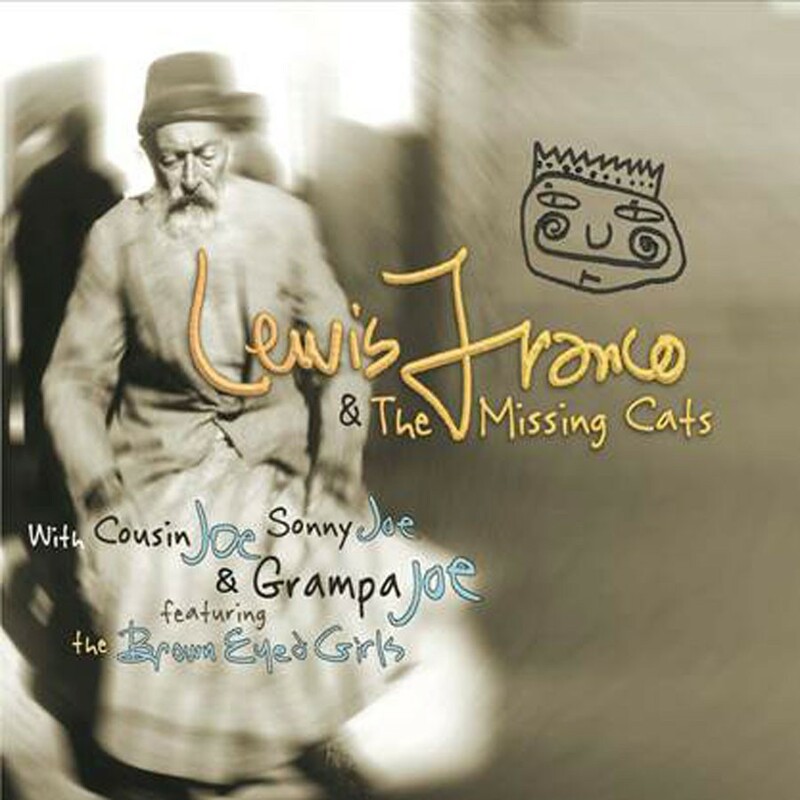 With Cousin Joe, Sonny Joe & Grampa Joe by Lewis Franco and the Missing Cats is available at lewisfrancomusic.com. The band plays on Friday, July 7, at the Meeting House in East Fairfield.